Dimensions 51.5 cm x 14.0 cm x 62.5 cm. 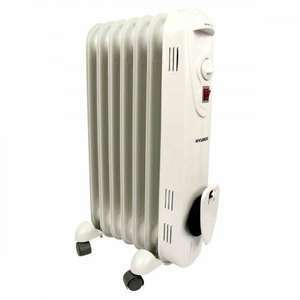 Seems a good price, same price as the Lidl one but without the pointless fan heater. Thats an ugly car ! 5 year warranty on my ugly car. 7 year warranty on their sister cars. You know what? I agree with you here, its my next car as well. 80mpg? well probably not the way I drive but if i get between 50 and 60 mpg i ll be happy. You know what? I agree with you here, its my next car as well. Dont … You know what? I agree with you here, its my next car as well. Dont forget Kia is the sister company of Hyundai and that 7 year warranty makes me drool :)80mpg? well probably not the way I drive but if i get between 50 and 60 mpg i ll be happy. Unless you have more money than sense, why wouldn't you want a Rio !!! I'm doing 25 k a year in the i10 so by getting one, it should pay for itself before the warranty runs out ! Er..... this is not about cars you muppets!